A beach vacation in Mexico implies that time outdoors is built into the equation. But for outdoor enthusiasts who want a little adventure than landlubbering on the shore, here are some top tips and places for exploring Mexico’s great outdoors in Riviera Nayarit a destination with nearly 200 miles of coastline, surrounded by the rainforest-blanketed Sierra Madre Mountains. Located on a private peninsula surrounded by white sand beaches, Punta Mita is a spectacular 1,500-acre resort and residential community bordered by the Pacific Ocean, and an easy 40 minute drive north of Puerto Vallarta. 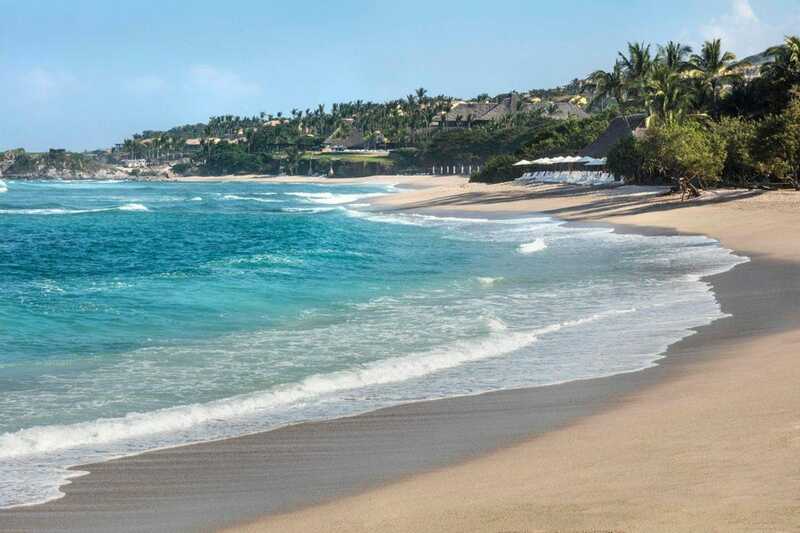 Punta Mita is home to some of the world’s most stunning private estates, as well as two Jack Nicklaus Signature Golf Courses, Four Seasons Resort Punta Mita, and the St. Regis Resort Punta Mita. ‘If the tide pushes up, punch it,” said my seafaring golf guide, Arturo Castro, one early July day in Punta Mita, Mexico. The statement could’ve just as easily been uttered a few miles down the coast at Castro’s favorite surf spot, La Lancha, while helping this visiting surfista negotiate the unfamiliar elements. Litibu Beach is located between Sayulita and Punta Mita.